Today’s blog post is written by my friend Krupa. I hope that you enjoy her knitting as much as I do! Hi, everyone! I met Kressley through our mutual friend Diane. We both happen to be bridesmaids at Diane’s wedding. When I first met Kressley at Diane’s bachelorette party I instantly thought #1, this woman is a genius, #2 we can communicate on the same wavelength! (i.e. the crafty wavelength!) 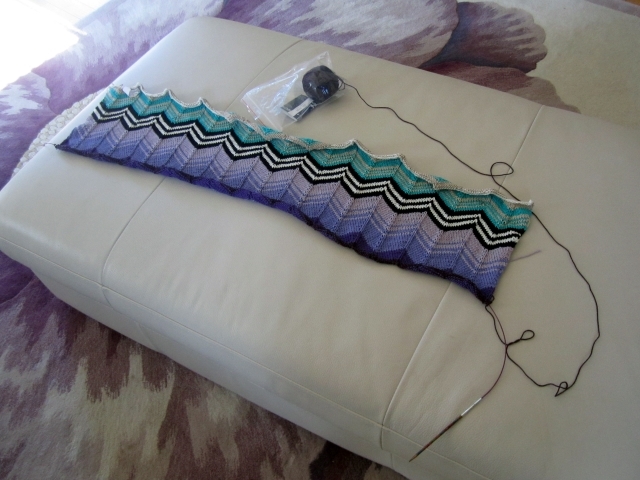 I recently shared one of my latest knitting projects with Kressley, and today I thought I’d pass it along to you. As we come closer to the holiday season everyone is thinking about gifts. The holiday season also packs on a lot of stress, and one thing I like to do to relieve stress and clear my mind is knitting. I recently completed a few baby blankets for a couple of my cousins that had babies. The blankets are perfect because they’re unique and personalized, even the mistakes made in my stitches because they were made with love! (better to say made with love than to say I forgot where I was because I was talking on the phone with baby’s mom). I got personalized tags made from Etsy, because I think it adds a memento that will remind the user for years. 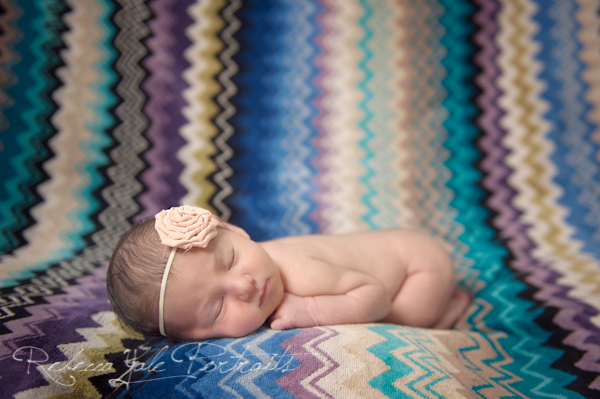 This was the inspiration for one of the recent blankets, it’s from Photographer Rebecca Yale’s website. When my cousin-in-law saw this picture she fell in love with the blanket. 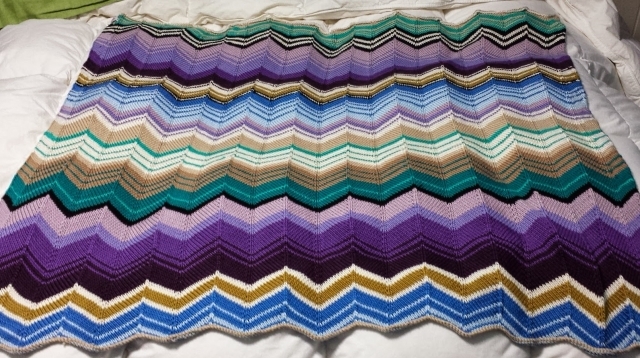 She knew I was planning to knit her a blanket, as I had done for her first child, so she showed it to me. After she showed me the picture I was on a serious mission. 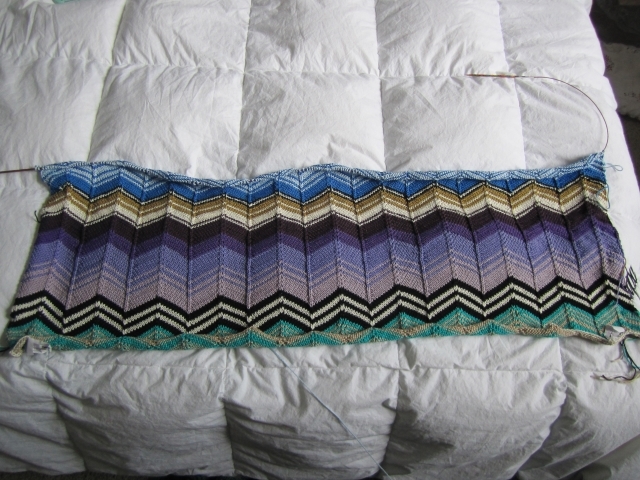 I must have tried about 6 different crochet and knit patterns until I found one that would give me the ability to recreate the iconic Missoni pattern. 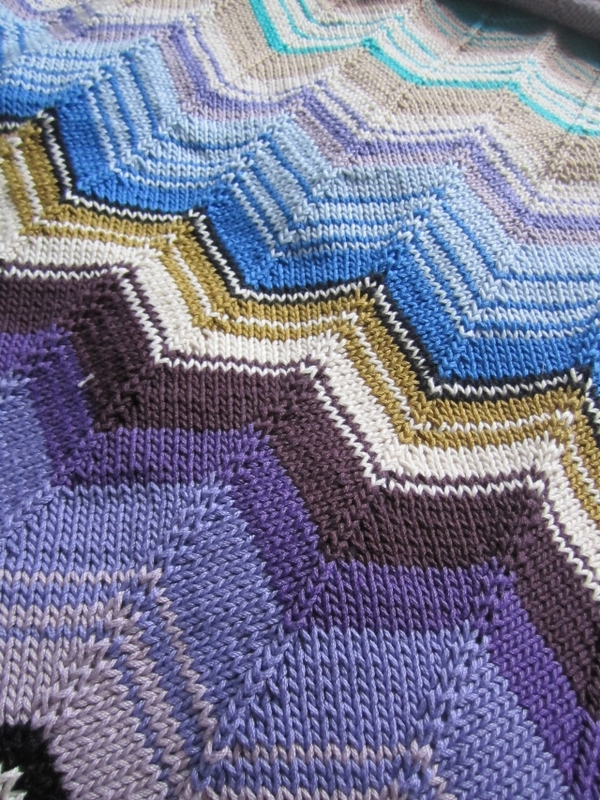 The pattern I used is by Melissa Clulow for Espace Tricot, a wonderful knitting blog. I simply rearranged the color changes in the pattern so that it would fit my needs. I also used a cotton yarn so that the blanket could be easily washed if needed (babies tend to leak…). The yarn I used was Tahki Cotton Classic because it comes in a wide range of colors (read ->more than 125 different shades!). I also used 3.75mm / US 5 interchangeable knitting needles on a 40 inch cable. I adore my KnitPicks because they have very flexible cables, come with so many options, and let’s face it they’re just pretty. The blanket was a success, but it did spurn the green-eyed devil inside me. I just have to have my own…. Aren’t the colors and stitches just beautiful? 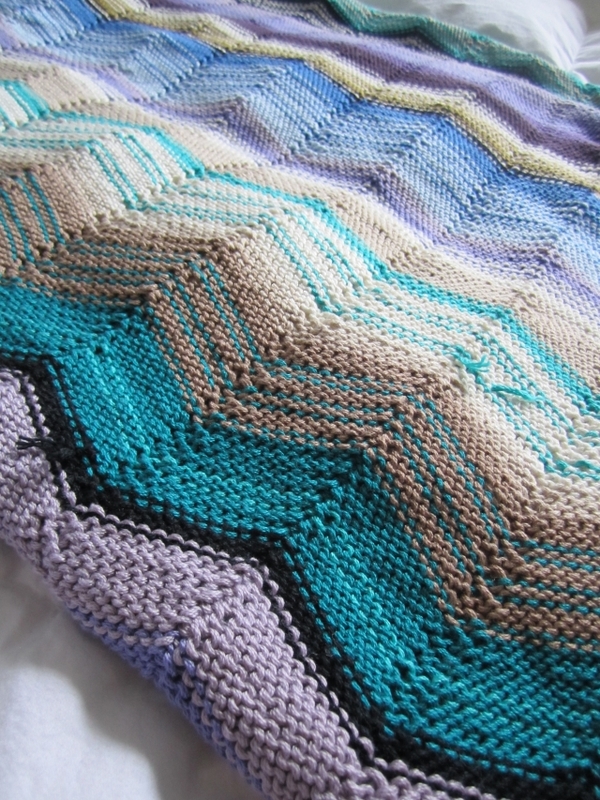 Don’t forget to check back tomorrow to see the blanket that Krupa is making for herself. This entry was posted in crafty, my crafty friends, yarn and tagged craft, Crafty Friends, KnitPicks, Knitting, Missoni, Yarn.